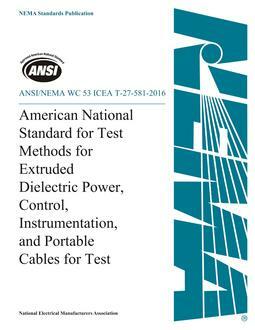 MW 1000 is a comprehensive volume of general requirements, product specifications, and test procedures for the manufacture and packaging of magnet wire. 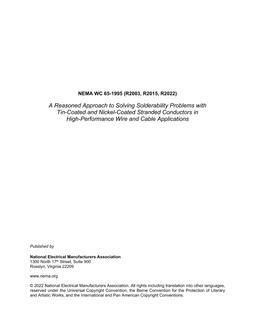 It is continually developed and maintained to ensure that specifications and test procedures reflect evolving magnet wire end user requirements and state-of-the-art magnet wire manufacturing technologies. 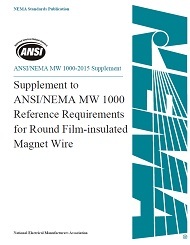 This Supplement is intended to provide users of MW 1000 with a convenient and concise reference to common performance requirements for film-insulated magnet wire constructions according to conductor material and insulation build. In the case of any discrepancies between this supplement and MW 1000, the requirements in MW 1000 prevail.